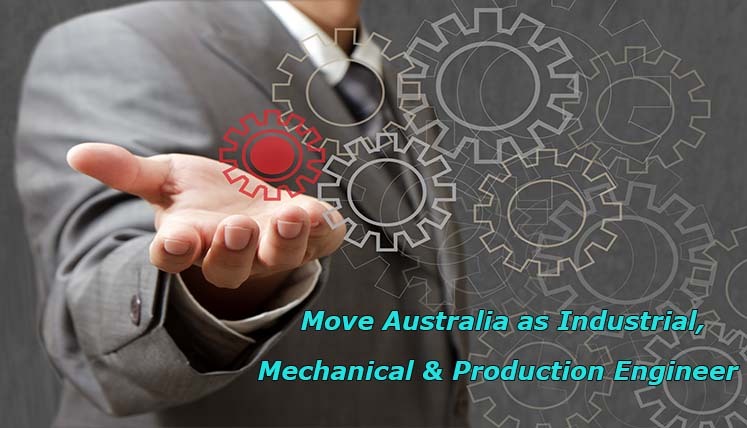 If you are looking to move to Australia to explore opportunities in the occupation of Industrial, Mechanical, and Production Engineer, you really apply fast as limited applications are remaining. Australia Immigration is a dream of most of the skilled professionals and workers across the world. The reasons for the same are multiple professional opportunities, along with incredible infrastructure, work environment, and standards of living offered by the Kangaroo Land to the foreign workers. You ask any overseas worker living in Australia and you will find the similar answers. You may also avail all these facilities in Australia provided you show some concern and prepare well for immigration to Australia. The Skilled Occupation List of Australia contains the high demand occupations across the country, for which highly skilled and talented people from overseas can apply. But each SOL listed occupation often has a limit too, which is called occupation ceiling value. The occupation of Industrial, Mechanical, and Production Engineer had an occupation ceiling limit of 1539 in SOL for 2016-17, which means only 1539 applications can be accepted for this occupation in the year 2016-17. However, out of the total 1539 applications quota, 1342 applications are already applied by the applicants under this category. Hence, now only 197 applications are left to apply. If you are interested in moving to Australia to get employed under the above-mentioned occupation, you must hurry, as if the applications are closed for the year, you may or may not be able to apply for the occupation of Industrial, Mechanical, and Production Engineer in future. The Skilled Occupation List is based on the demand for certain occupations in the country. However, if the demand of a particular occupation is met, and there is no further demand next year, it doesn’t come in the list for next year. So, based on the demand of Industrial, Mechanical, and Production Engineer, Australian government may decide to remove this occupation from Skilled Occupation List, diminishing your chances of applying for the skilled visa under the given occupation. You may apply for Skilled Independent visa Subclass 189 to live and work anywhere in Australia on a permanent basis. You may also choose to apply for Skilled Nominated Visa Subclass 190 visa to live and work in Australia permanently. You need the nomination from Australian state or territory government agency to apply for this visa. If you seek documentation assistance for Australia PR Visa, you may contact Visas Avenue immigration expert on Toll-Free Number- 78-18-000-777. Alternatively, e-mail your queries to info@visasavenue.com. Which is the best Country to get Permanent Residency in 2017?